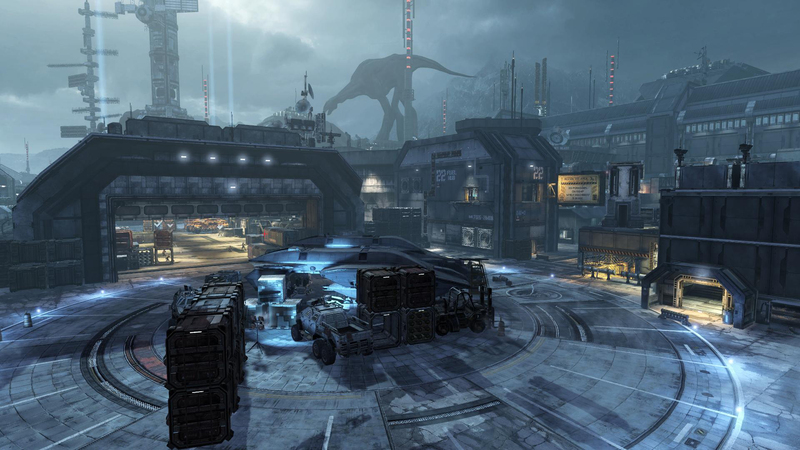 I started as a designer at Respawn Entertainment in May 2010, when the studio opened. 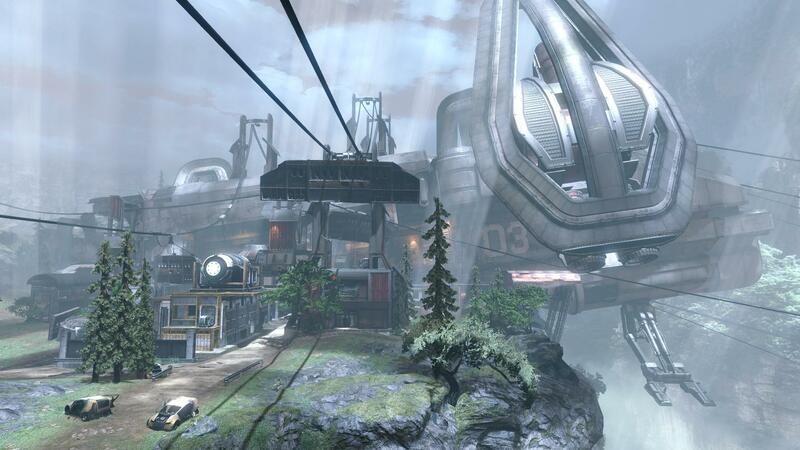 Titanfall was released in March of 2014 on PC and Xbox One, and April 2014 on Xbox 360. 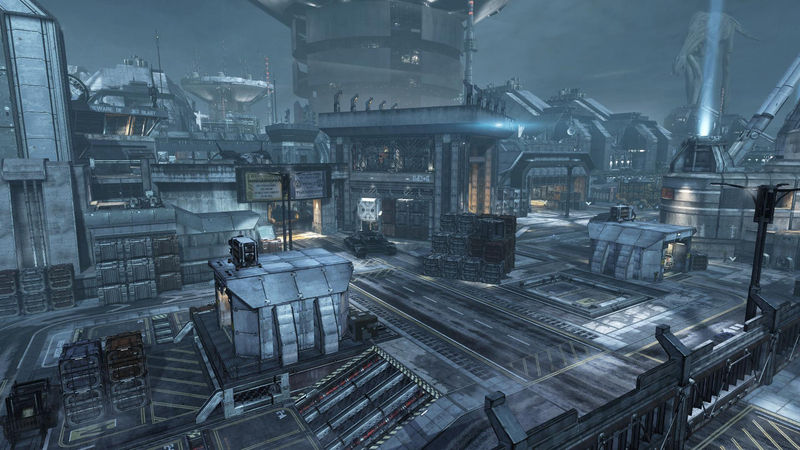 As a level designer on Titanfall, I would pitch ideas for levels, design them on paper, block them out for gameplay and work on them to completion. 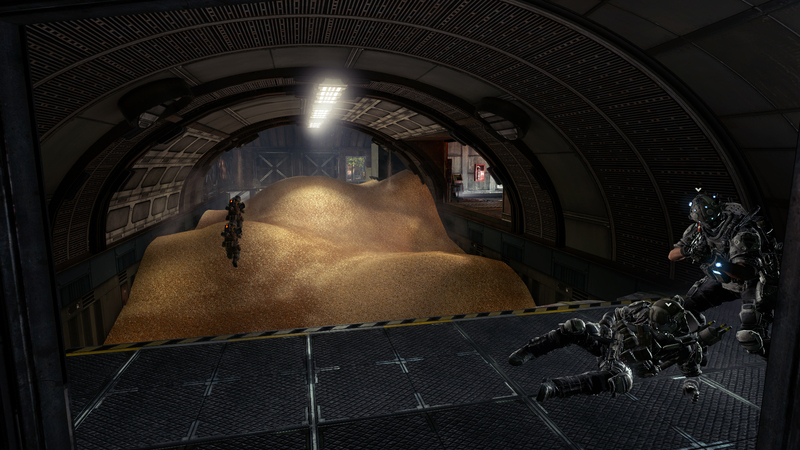 This included balancing, detailing, optimization, lighting and bug fixing. For each of these levels, I also did a large amount of low poly modeling, texturing and prop decorating using style guides created by the art team. IMC Airbase Sierra is the largest military installation on the frontier. The giant repuslor towers in the base keep the wildlife at a safe distance. 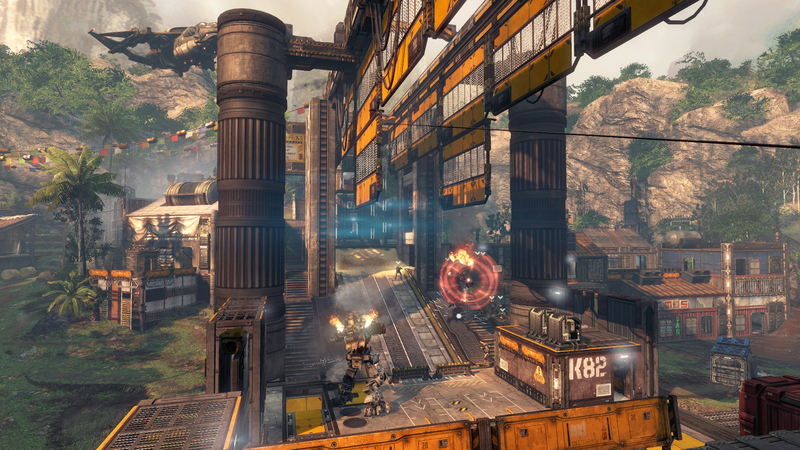 Airbase, in some form, was one of the first levels ever made at Respawn Entertainment. 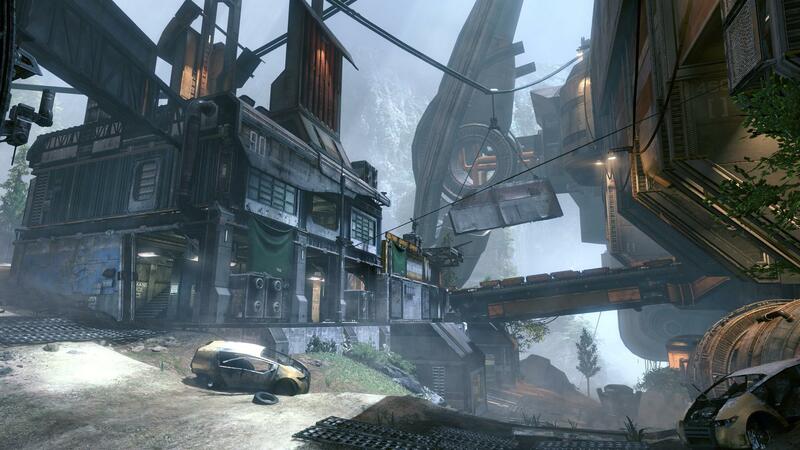 The map has changed a lot over the years, and has played its part in all the different "visions" of Titanfall. 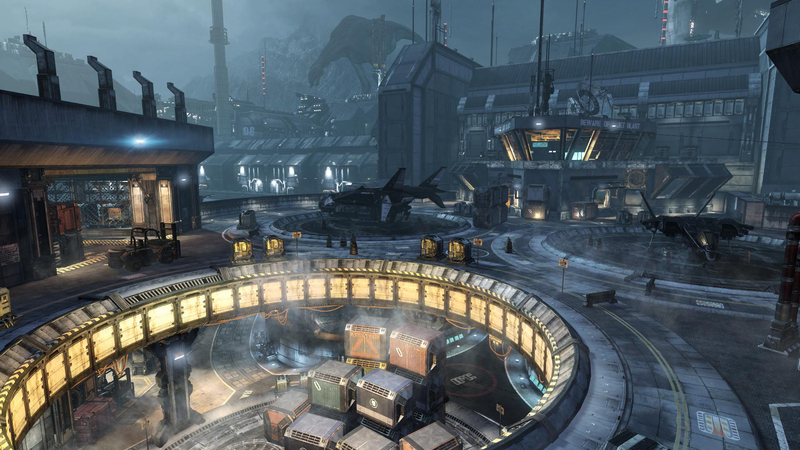 At one point, a version of Airbase was our prototype for a single player game that ended up getting scrapped (as mentioned in The Final Hours of Titanfall). A lot of the geo remained for the MP version that shipped. 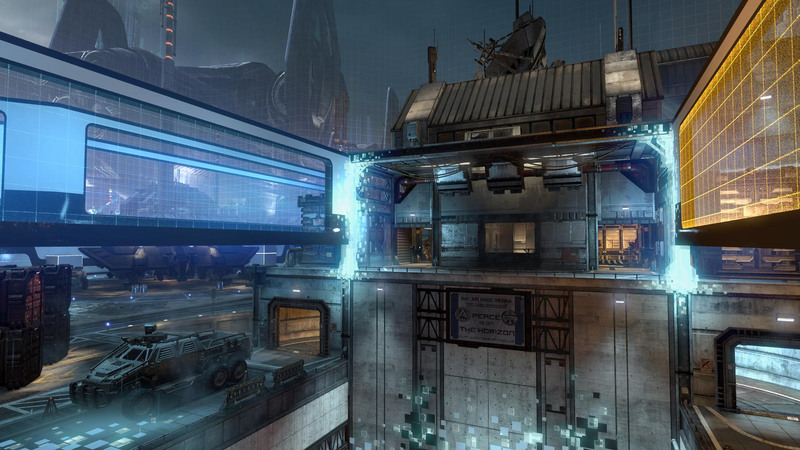 The general design goal was a Titan friendly level with open spaces for dueling, Titan high ground (a rarity in the game) and tight choke points. I also love being much higher off the ground than Titans, so I made sure the higher rooftops were almost all accessible to pilots. 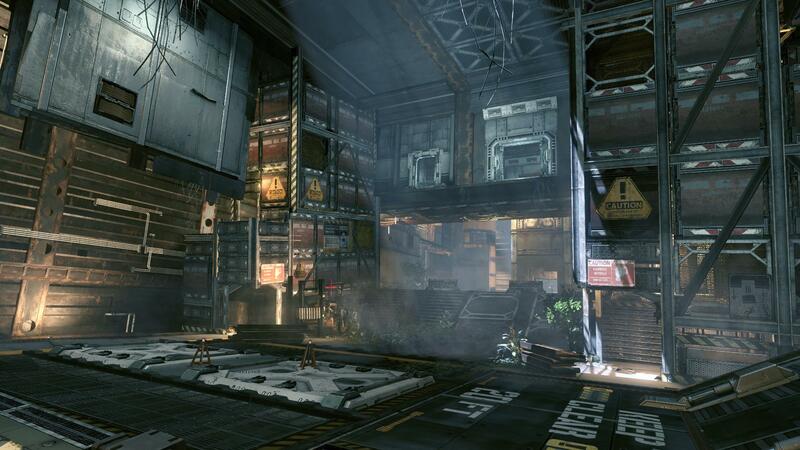 The large flat hangar roof on the boundary of the map allows for one of the few evac spots in the game where Titans can't interfere with the dropship. This is the 7th level in the campaign. 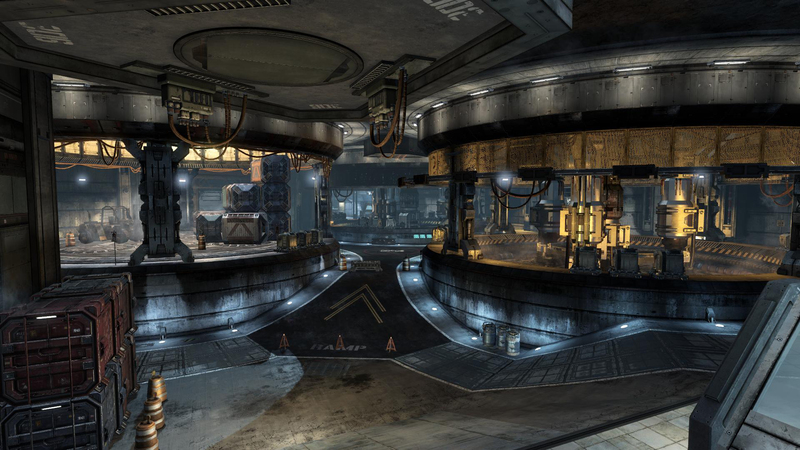 IMC Base Golden is an abandoned IMC installation on planet Leviathan. 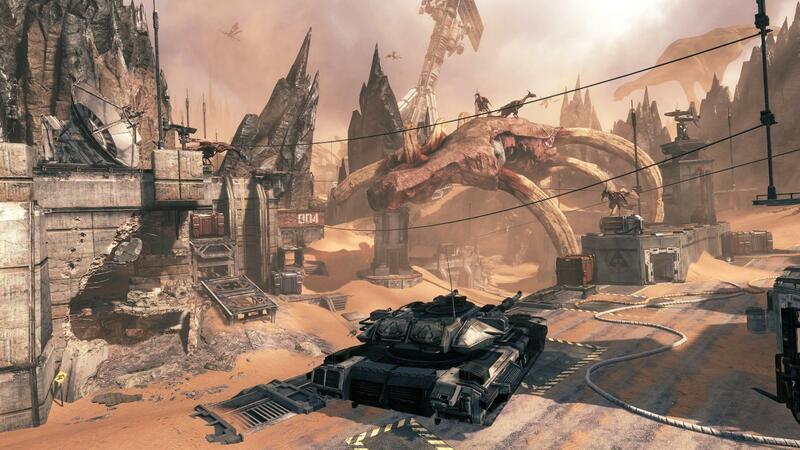 The giant, hostile creatures that roam the planet make it difficult to establish a foothold, so the IMC developed large repuslor towers to keep the creatues at bay. This level shows what happened when the tower malfunctioned and the wildlife took took the area back. 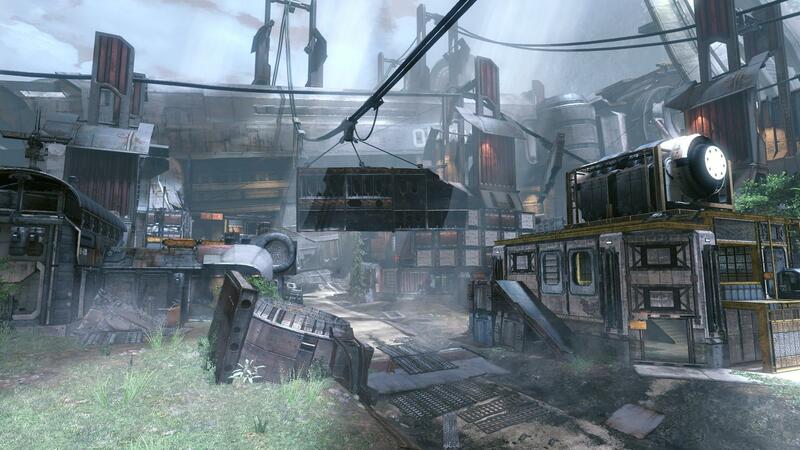 Boneyard was designed during an interesting time in Titanfall's development. Wallrunning wasn't a priority and Titans were overpowered against Pilots. The final design shows that I was working with both of those problems in mind. 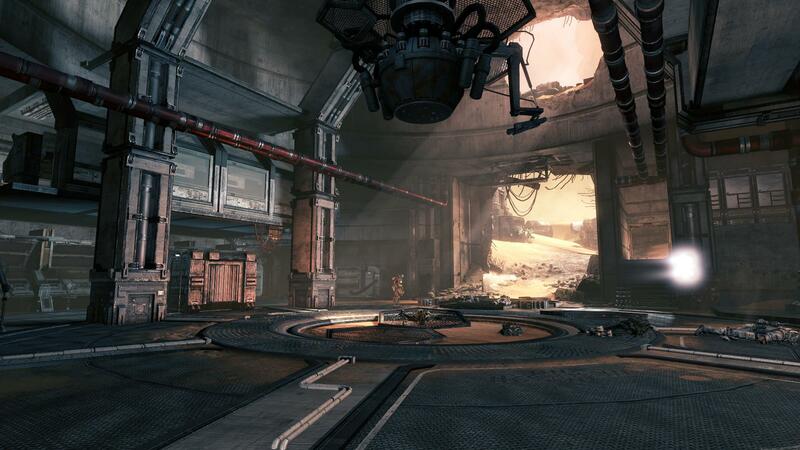 The interior spaces for Pilots are often connected underground or up high to travel between buildings, and there is a plethora of ziplines to make traversing the large open areas quicker. 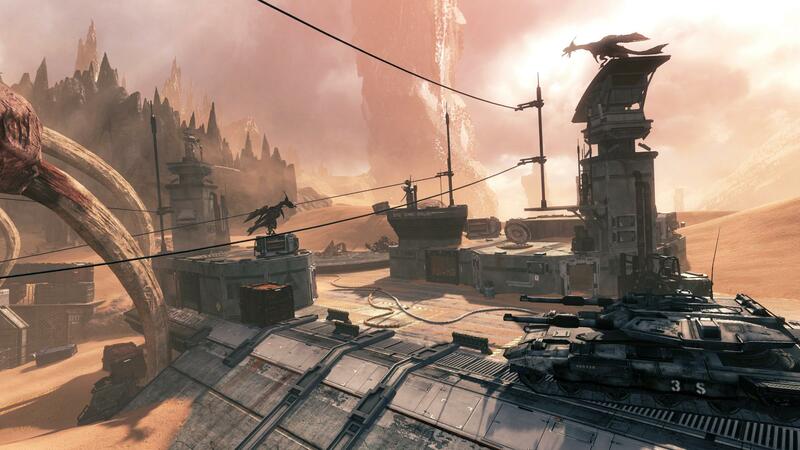 Pilots will learn to not get caught out in the open desert, as Titans gravitate towards the edges when dualing. 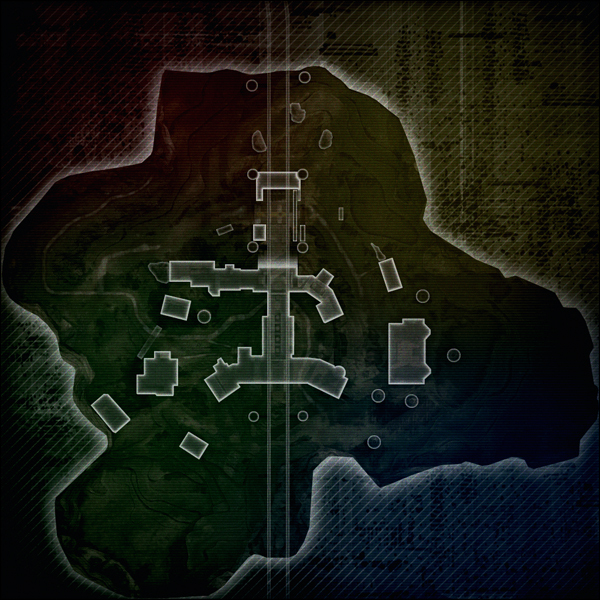 The spikey rocks found throughout the map were designed to allow for mid-level boundaries that Pilots wouldn't camp out on. 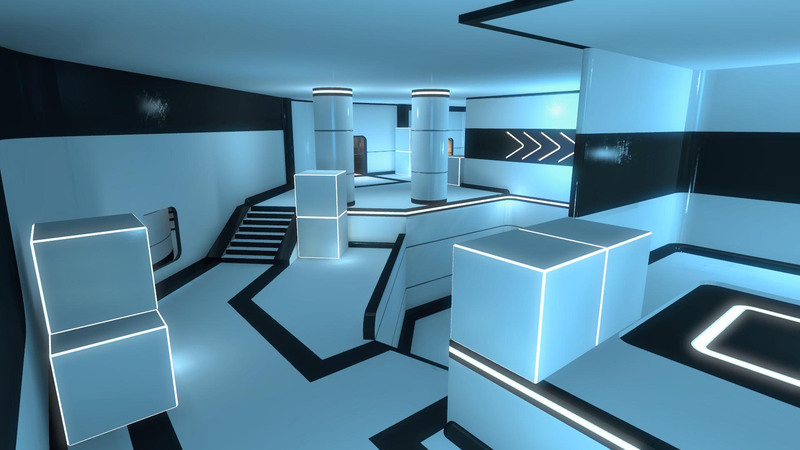 This is the 6th level in the campaign. The Odyssey is an old IMC mega carrier, believed crashed & lost long ago. The surviving crew salvaged ship parts to construct a colony in the valley below, & the buildings surrounding the ship serve as a worksite for a rotating construction crew. 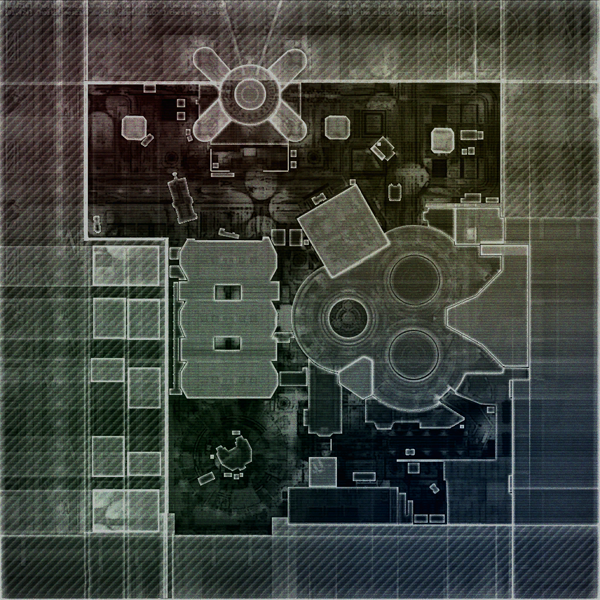 Relic is another old map in Respawn's history, though the iteration that shipped was a fairly fresh design based off the current mechanics of the game. Hanging ship panels allowed me to place wallrunning paths where I needed, and the interior of the ship serves as tight, controlled chokepoints for Titans to fight through and large flat walls for lots of parkour. 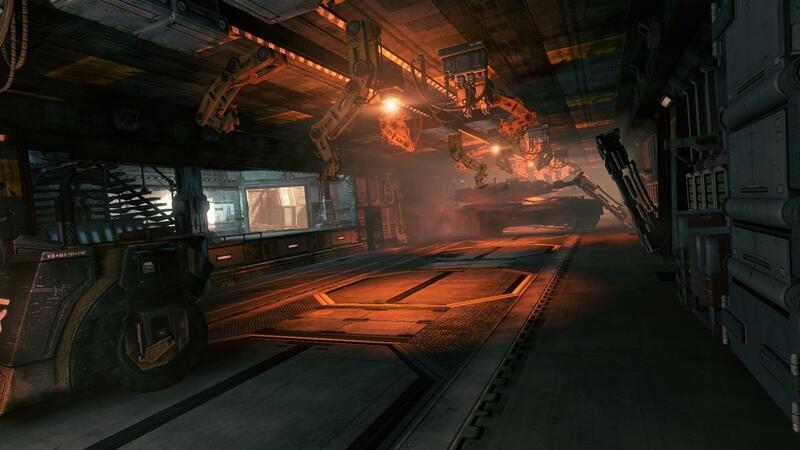 This is the 3rd level in the campaign. 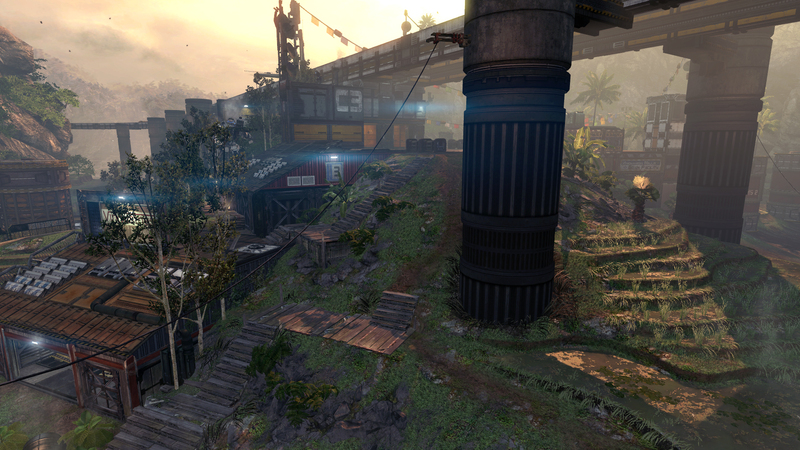 War Games is one of the maps in the first Titanfall DLC map pack, entitled the Expedition Pack. It was released in May, 2014. 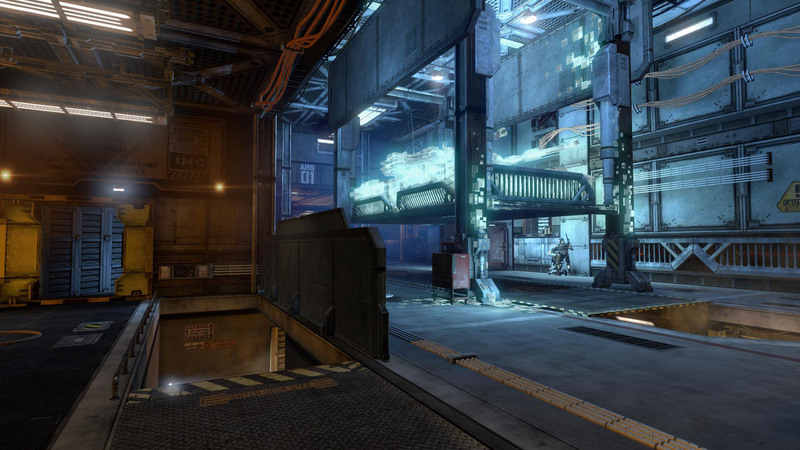 The map is based in a virtual world where Pilots compete in simulated environments of "Angel City", "Rise" and "Airbase". The concept of a simulator enabled me to be more liberal on what feels realistic and focus on the ideal layout. I added long wallrun panels sort of "wherever they needed to be", which isn't always easy when trying to design a real place. The walls are made of a solid, transparent grid that, while giving pilots lots of wallrunning opportunities, also let enemies see where they are heading for good flanking opportunities. 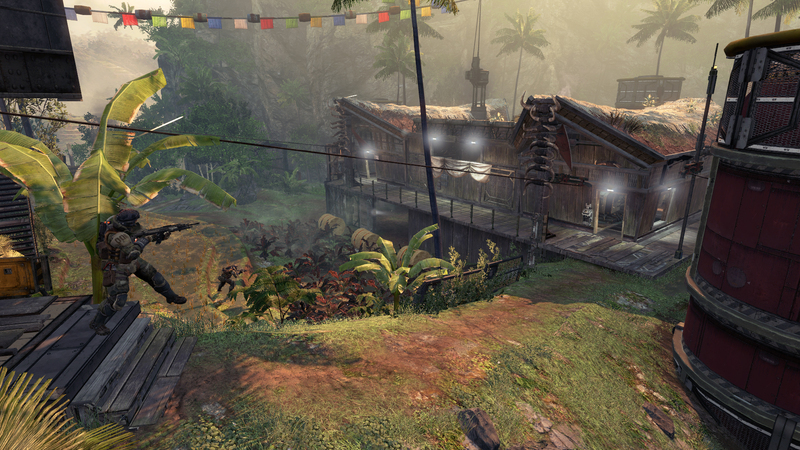 Different sections of the map are not only themed visually but also in the gameplay style of the levels they mimic. 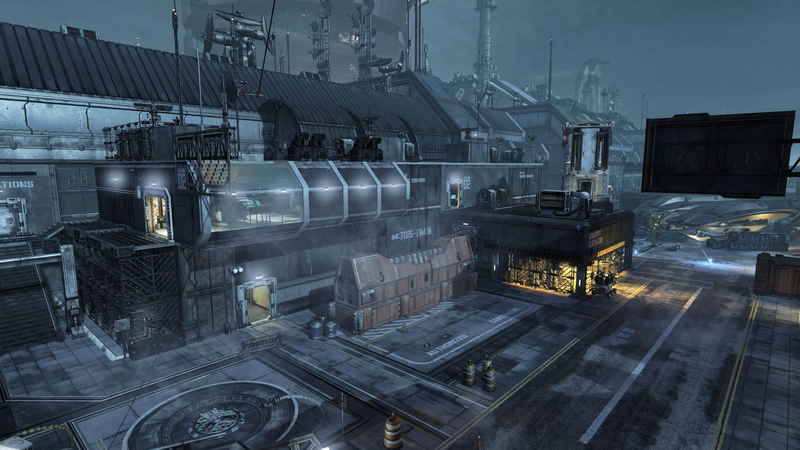 For example, the "Angel City" side is made of multiple, two story buildings that encourage window-to-window fighting and CQB. The "Airbase" side is a single large interior that flows pilots from one end to another. 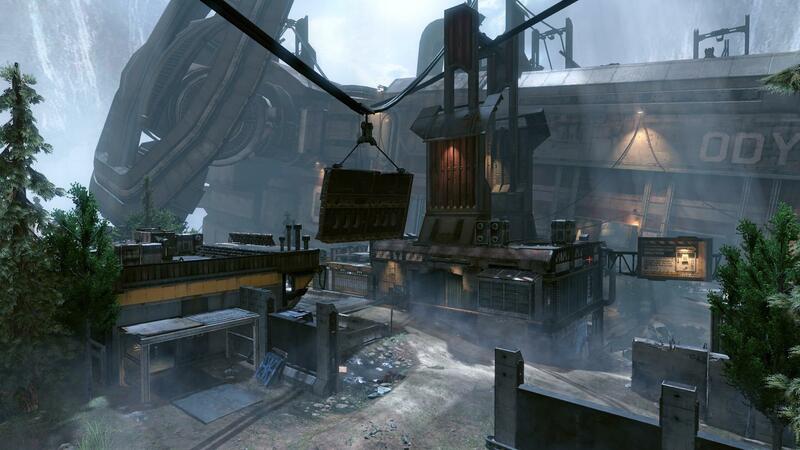 The center, based off of a map called "Rise", is based around wallrunning down a corridoor, hopefully above duelling Titans. 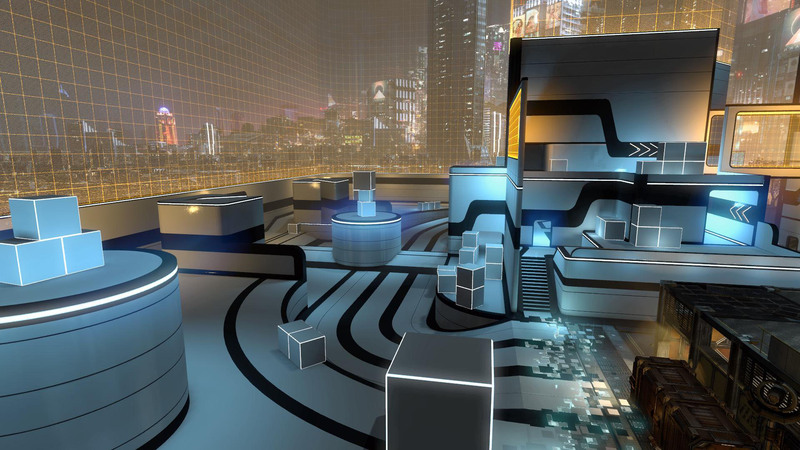 The transitional areas are designed like the training simulator, enabling clean wallrunning and easy target aquisition - Pilot silhouetts pop against the white walls. These surrounding VR "fields" are also relatively sparse and clean, which I found helps Titans feel powerful by knowing they aren't losing sight of a Pilot hiding in some visually dense props. We used colored lighting and colored panels to help landmark what side of the level you are on as well. 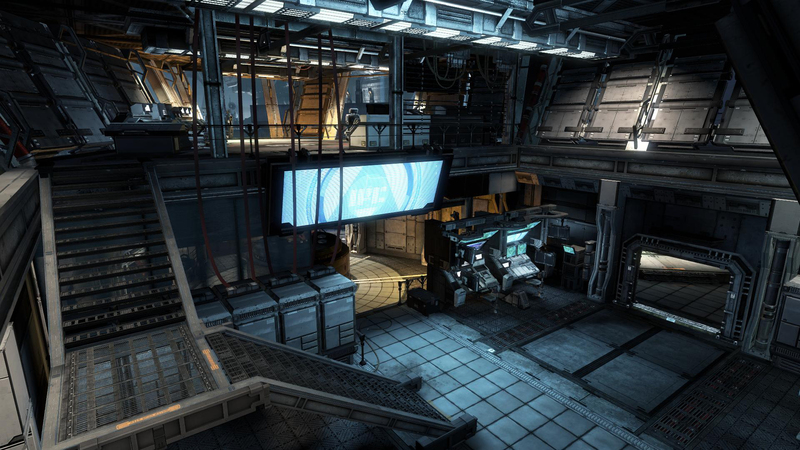 A very cool part of this level was the Simulation Pod intro. @slaypiece scripted this, as well as gen-specific voice over ("Gen 5 Pilot On Board") and the VR dissolve effects when you kill Pilots and Grunts. 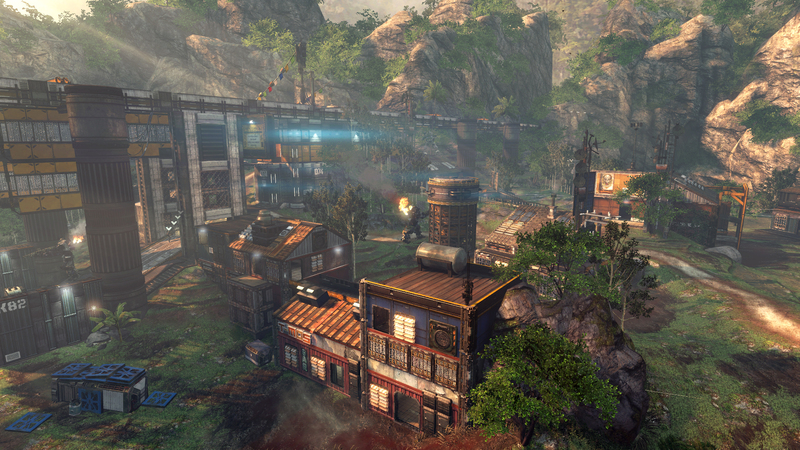 This map was remasted by our artists and multiplayer designers for Titanfall 2 in June 2017 and released as free DLC. 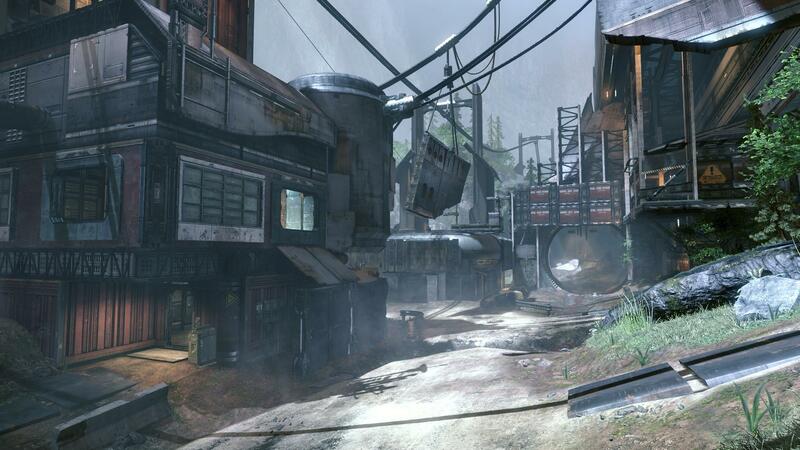 Backwater is my 5th and final map for Titanfall. 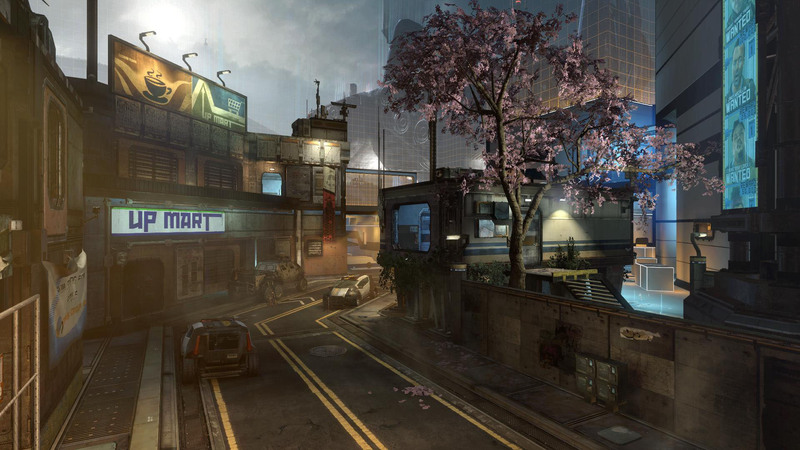 It was released in September 2014 as one of the 3 maps in the IMC Rising pack. 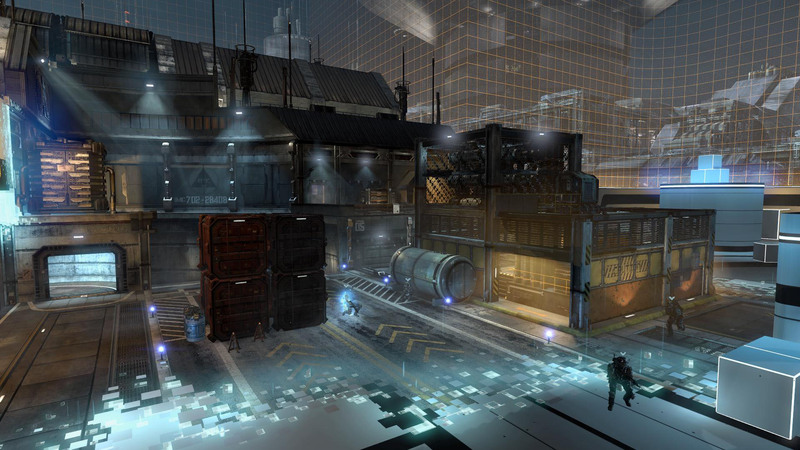 The level was inspired from some concept art back when Respawn was just starting. Old fans will recognize the shot as a blurry teaser we gave out on our website. IMC Rising was a great chance to finally bring the idea to life. 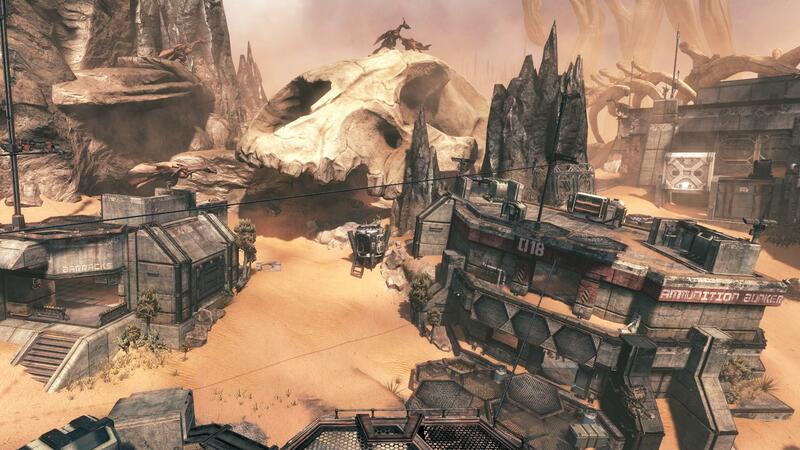 The map is a lot of terrain, with plenty of elevation changes to make for interesting Titan battles. 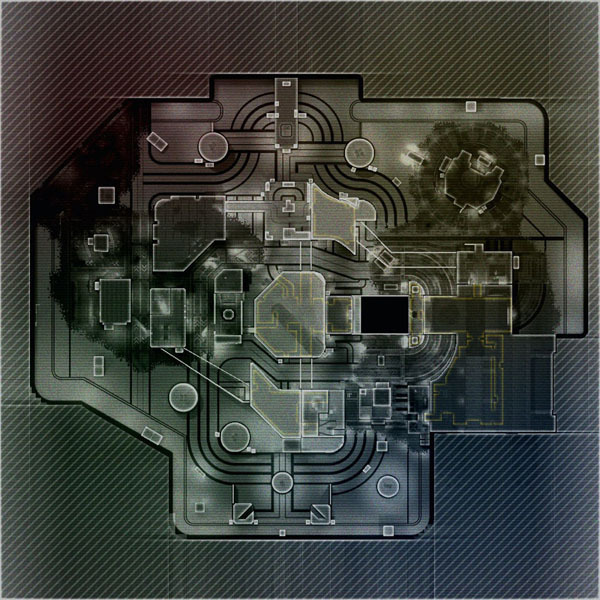 The Pilot paths move underground and through the center of the map. There's no cover or buildings on the outskirts for Pilots, by design, to keep the action central and fast. 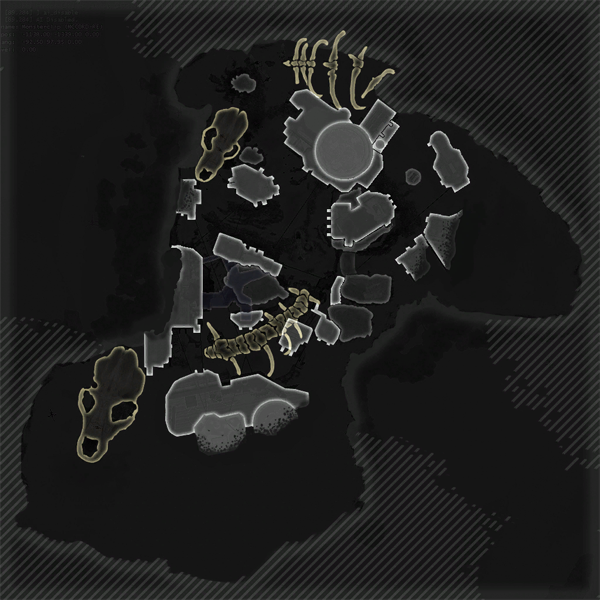 In Last Titan Standing, Titans often fight for control of the hill overlooking most of the map. 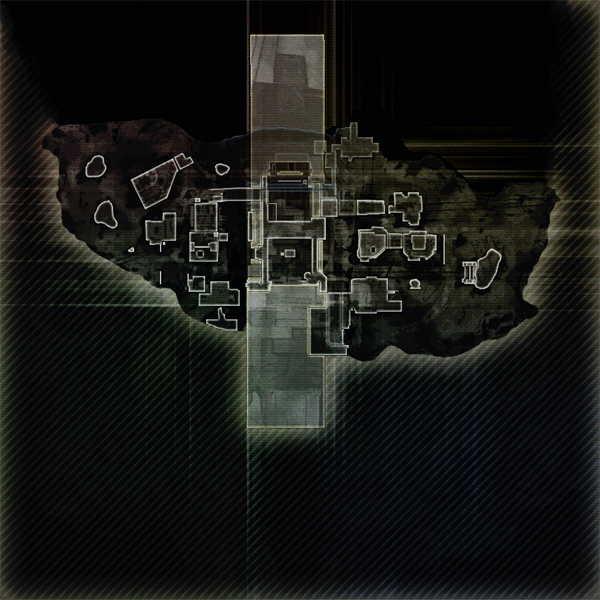 This is also the first time in Titanfall where I did very little art on one of my levels. One art goal was to make the level "pretty", or some place you want to go. The art team did an amazing job, and I'm happy that it turned into one of the prettiest levels in the game. 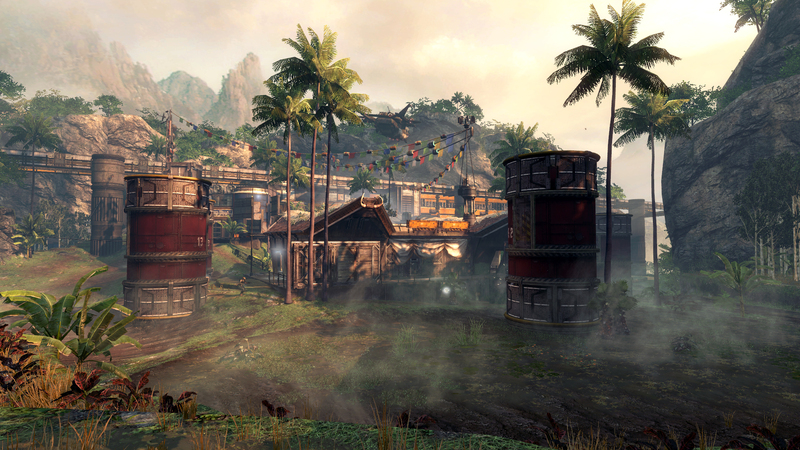 You can read a little more about Backwater on my Titanfall blog post.